You've checked out the schools and read neighborhood crime statistics. You've timed your commute and figured out where to buy groceries. But what are you missing when it comes to evaluating a new neighborhood? Don't forget to check these seven neighborhood details before you sign a lease or buy a home. 1. Where will you go to have fun? It's natural to focus on proximity to your job when you're looking for a place to live. After all, you probably travel between home and the office more frequently than you travel anywhere else. But don't forget to think about your downtime. Does the new place offer easy access to your favorite hobbies? Will you have to drive further in rush-hour traffic to get your kids to their after school activities or get up earlier on weekends to get to your favorite hiking trail? Make a list of the places you go most often to relax and make sure getting there from your new home won't take all the fun out of it. Hidden in your community bylaws, there might be rules on what you can and can't do with your new home. The covenants, conditions and restrictions, also known as CC&Rs, govern things such as whether you can paint your house, put up a satellite dish, keep a vehicle on the street or store a boat. Make sure you understand all fees imposed by the community association and factor them in when you're figuring out how much rent or mortgage payments you can afford. The property manager or the homeowner's association will make a huge difference in your quality of life. You can look for obvious signs of their management abilities, such as whether the building is kept in good repair. But a more thorough search may be warranted. If the property is managed by a large company, you may be able to find ratings online. Talking to neighbors can be useful, and you might try searching the online archives of your local newspaper to see if the HOA has received any press — good or bad. Problems with the HOA may explain suspiciously low rents, and you want to know if the HOA has declared bankruptcy or imposed a special assessment on members. If you're moving to a new area, you may not be aware of the differences in taxes from one municipality to another. Property taxes can change dramatically when you cross a political border such as the city limits or the county line, and some cities charge local income tax on top of what you're already paying to the state and the federal government. Car insurance may also be higher depending on where you park at night, so talk to your insurance company and your accountant before you make an offer or sign a lease. You don't want any expensive surprises. Property listings usually tell you what kind of sewer and water access you'll have, but you may not think to check for other types of utilities. Will you be able to get high-speed internet access in your new home? If you work from home, reliable internet access and phone service is a must. You may also want to find out what cable companies provide the best service in the area. Cellphone reception has improved a lot in recent years, but pay attention to how many dropped calls you experience in your potential new neighborhood. You may find that you need to get a new carrier along with your new address. The basketball hoop in the cul-de-sac seemed like a great indicator of a kid-friendly community when you were house hunting. But it's not so charming when the neighborhood teenagers are shooting hoops late into the night. If you're sensitive to noise or light, look around with an eye toward protecting your sleep. Busy roads, bus and train routes, bars and restaurants, street lights — if you love to be in the thick of things, you may be thrilled by the activity. If you're a light sleeper, you may want to invest in a white noise machine or find another neighborhood. Being able to walk to a cafe, a library and a grocery store will save you money and keep you healthier, so don't forget to check the Walk Score of your new address. Who knows? Maybe you can do without a car altogether. If you're moving to a rural area, you can still think about potential walks from your home, but instead of walking to the bakery on a Saturday morning you may be walking across a field to have a cup of coffee with a neighbor, or walking to your favorite bird-watching spot in the woods. Take it a step further and look for bike lanes. A good network of bike lanes and well-kept sidewalks indicates a local government that is willing to invest in the health and safety of its constituents. Now that spring has officially arrived, you've probably started going through a mental checklist of the rooms in your home that could use a little pick-me-up. But why stop at spring-cleaning -- why not go for a whole home makeover? 'Tis the season to get revitalized, after all. What's that, you say? You don't have thousands of dollars at your disposal to give your walls, floors or furniture a face-lift? Fact: You can make big improvements -- no matter what your budget. That's why we challenged three interior designers to show us how you can inexpensively (and easily) spruce up four major rooms -- the living room, bedroom, kitchen and bathroom -- for $100, $300 and $500. At about $30 a gallon, a fresh coat of paint is a cost-effective way to give any room a face-lift. "I like a light color on the wall -- a soft gray, green or blue -- and then a slightly darker shade of that color on the ceiling," says Kimberly Ward, an interior designer and blogger at PinkEggshell.com who believes the accent ceiling is the new accent wall. For another $25, buy a few yards of eye-catching fabric that complements the new color, and drape it across your curtain rod as a valance. There's also a cost-free way to create added dramatic change: Move some furniture around. For example, position the couch so that it faces a window instead of the TV. "My rule of thumb is at least seven sources of light," says Cathy Hobbs, an interior designer and alum of HGTV's Design Star. "This includes not just lamps or overhead lights but also windows, mirrors and reflective surfaces, like a shiny decorative piece." Your choices for shedding more light to revamp a living room are endless, from creating a statement wall with a trio of inexpensive mirrors or springing for two gorgeous lamps. And remember that the lighting should be beautiful, as well as functional, so consider upgrading a standard overhead fixture with a more stylish pendant. Another lighting upgrade that Ward swears by: dimmers, which can "change the mood dramatically." Choose a color or theme that inspires you -- maybe you dig an ultramodern vibe or you prefer a global retreat -- and pepper that inspiration around the room with different fabrics and patterns. "I always start with a rug," says Ward, explaining that it's easier to match accent pieces to a rug than the other way around. She suggests shopping for one in the $250 to $300 range, and then playing mix-and-match with curtains, a new throw or toss pillows for the couch. Textiles make a more lasting impression than tchotchkes ever will -- and your living room will look insta-chic. Turn one of your walls into a focal point using decorative molding, says Ward. You can simply nail the molding to your wall in the desired pattern, fill the nail holes with putty, and then create contrast by painting the molding a different color from your wall. This creates a giant picture frame effect—and you can get creative with what goes inside. Perhaps it's patterned wallpaper or a collage of your favorite photos. The idea works especially well behind a bed (see photo) or if you want to set off your bedroom's sitting area. You can also get the same effect using paint -- just use painter's tape to help you create a four-sided border. Ward says that people often select nightstands that are too small, too junky and too far away from the bed. And despite what magazines will have you believe, she asserts that this area shouldn't be littered with books and other personal effects in plain view. For $300, she says that you can splurge on a high-quality piece that looks great and gives you ample storage space, like this antique, three-drawer nightstand. If you prefer to spread your dollars out, try a less expensive model, such as this $70 piece from Target, and then spend the rest on a statement duvet cover and accent pillows. What's the best thing about staying in a fancy hotel? A bed that makes you feel like royalty. "Most people are attracted to the sumptuousness of a hotel bed and want to bring that feeling into their own bedroom," Hobbs says. The key to re-creating that luxe hotel effect for an instant boudoir upgrade: Surround yourself in down. You can get a thick duvet insert for about $150 and a high-end featherbed for about $175. With the remainder of your budget, splurge on some lavish, high-thread-count sheets. And while we're on the topic, here's Hobbs' secret to a perfectly dressed bed: Skip the fitted sheet in lieu of a larger flat sheet. So if you're outfitting a queen-sized bed, tuck and fold a king-sized flat sheet over the featherbed and mattress for a custom fit. Got some money left in your budget? The bedroom is an excellent place to experiment with dramatic lighting, so consider installing a simple, hanging light fixture over your bed, says Nicole Gibbons, an interior designer who appears on OWN's Home Made Simple. Something as simple as swapping out old knobs and handles, says Gibbons, can transform the look and feel of your kitchen cabinets. "If you have stainless steel appliances, go for something that's chrome or polished nickel," she says. "Or if you want a modern look, you might choose Lucite poles. And if you have cabinets that don't have any hardware, adding simple bronze knobs can make all the difference." You can also enliven old cabinets by painting them a vibrant color. Ward personally loves red, yellow or orange. "Red is making a huge impact in fashion," she adds. "So we're going to see a lot more of it in interior design." If you have a beautiful antique dish collection or fabulous stemware that you want to display, you could also remove a few cabinets and install open shelves, suggests Hobbs. Vinyl is making a comeback. (Yes, you heard right.) Peel-n-stick flooring has come a long way since the '70s: You can now buy vinyl flooring that looks like hardwood and other upscale finishes -- plus the tiles come in larger rectangles, instead of squares, for a much sleeker look. "I've had a lot of success with vinyl floors," Hobbs says. "It's one of my favorite upgrades -- an affordable, low-cost refresher." Of course, the amount you spend will depend on the size of the area that you're trying to cover, but you can find laminate for less than $30 a square foot, compared to $50 or more for granite. "Nowhere do you get more bang for your buck than the bathroom," Ward says. So stop using that plastic shower curtain and splurge on a "grown-up" fabric version in the $50 range. You should also be able to find a comfy, plush bath mat for $30 or one that resembles those chic bamboo mats at your favorite spa. "Look for better ways to store and display things," says Ward. "You want your bathroom to be as efficient as possible," as opposed to cluttered with dust-collecting toiletries. If you don't have a lot of space for towels and toiletries, she suggests investing in a shelving unit that's more pleasing to the eye than your typical over-the-toilet model. You can maximize storage by either mounting multiple floating shelves or a single, sophisticated piece, like this one from Pottery Barn, that's as elegant as it is functional. The typically smaller size of most bathrooms means that you'll pay less for materials in this room of your house -- and that means more pop for your dollar. That's why Ward turned to Wallpapers To Go, which stocks discounted designer wall coverings, when she was redoing a client's bathroom recently. The cost of the wallpaper and the installation? It all rang in at just $279. If you want to go bold, opt for a design that's a little less subtle, like black-and-white stripes or a fleur-de-lis. To add to the wow factor, complement your new walls with inexpensive flooring. Ward loves this wood-inspired porcelain tile that costs just $1.75 per square foot. A Sweet Spot for Move-Up Buyers? The peak home-selling season may have ended, but there some buyers are just getting started: those looking to sell a home and trade up. Is now a good time for these buyers to start their search? And what does this uptick in move-up buyers mean for the market? In this installment of Buying Advice, we'll also check in with the latest housing numbers and give move-up buyers a refresher course in listing terminology. Homeowners in many areas who bought just before the housing bust had little opportunity to move up to a larger home. Underwater on their mortgages, they were stuck for years waiting for their homes to appreciate. The good news is that a significant number — 18.5 million homeowners, or 40% of all folks with a mortgage — now have at least 20% equity, according to real estate data firm RealtyTrac. That's because prices in the first seven months of this year increased faster than in any year since 2004, when the real estate bubble was inflating, according to the latest Case-Shiller Home Price Indices. Now many once-stuck owners can jump back into the housing market and move up to a larger or better-located house. While exact data on move-up buyers is hard to come by, the share of first-time buyers has been declining, dropping to 28% of purchases in August from 31% in August 2012, while at the same time sales have surged by double digits, according to the National Association of Realtors. Extrapolate from that, and it appears second-time-around buyers are becoming a bigger part of housing sales as home prices and interest rates have started to rise. "For a move-up buyer, the price of the house they want is going up, but so is the house they own," said Jed Kolko, Trulia.com's chief economist. Moreover, because these buyers have more money to put down and are less sensitive to interest-rate upticks, they can afford to wait until the right house comes along, Kolko said. That's what Kim Drusch of Century 21 Award in San Diego witnessed with one of her recent listings. While many homes at a lower price point were getting multiple offers, a home priced around $600,000 had plenty of interest at its open house, but no one eager to make an immediate bid. Some home shoppers may be waiting for more inventory. With the number of homes available for sale limited, there's far less for move-up buyers to choose from. So, while selling their starter home may be easy, finding a place to move into is much less so. To be sure, a lot of high-end inventory was taken off the market in the first half of the year. Sales of existing homes priced at more than $1 million surged 37% in the first half of 2013 — triple the growth of the housing market as a whole — according to real estate research firm DataQuick. The return of move-up buyers is good for the market as a whole, Kolko said. It brings more homes to the market, particularly much-needed starter homes, as these buyers trade up. It's also a good sign for the broader economy, wrote Yanling Mayer, research director for mortgage-technology company FNC, in the company's blog. "An important sign of a healthy and sustainable recovery is increased housing turnover driven by trade-up buying, which is more or less discretionary spending," Mayer said. "These buyers are typically more responsive to market conditions and financial incentives." There's one new twist on this trend in pricey California, however: Drusch said she is seeing the emergence of the "move-out" buyer, once-underwater owners who have finally regained enough equity and are selling and moving to a lower-cost state. "More are going off to the South, or to Idaho," she said. "They are saying that the housing bust here was 'too scary a ride for them.'" Existing-home sales swelled 1.7% to 5.48 million in August from 5.39 million in July, a 13.2% jump from August 2012, as buyers rushed to close deals ahead of interest rate increases, according to the NAR. At this pace, sales were at the highest level since February 2007, but buyers shouldn't expect this temporary "peak" to continue, said Lawrence Yun, NAR chief economist. "Rising mortgage rates pushed more buyers to close deals, but monthly sales are likely to be uneven in the months ahead from several market frictions," he said. Those include tight inventory, higher mortgage rates and restrictive lending guidelines. The national median price for an existing home was $212,000 in August, up 14.7% from August 2012 — the strongest year-over-year price gain since October 2005, when prices surged 16.6%. Inventory increases should eventually help moderate some of these huge gains. Inventory nudged up a paltry 0.4% in August to 2.25 million homes for sale, which represents a 4.9 month supply at the current sales pace. This restricted inventory has led to multiple offers in many areas. And in some areas it is dampening sales In the West, it pushed sales down 2.3% from the previous month to a pace of 1.26 million. New-home sales also picked up in August after dropping in July as mortgage rates climbed. Sales increased 7.9% from July to 421,000, the Census Bureau said. Still, many market-watchers are already seeing the beginning of a fall cooldown, with buyers holding off and sellers reducing asking prices in many areas. The average new-home sales price in August was $318,900, virtually unchanged from July, the Census Bureau said, but 4.4% higher than the average price of $305,500 in August 2012. Despite the uptick, the months of July and August— typically two of the strongest months of the year for homebuilders — were this year's weakest. Ed Stansfield of Capital Economics said not to expect this cooling trend to derail the housing recovery,. however. If anything, analysts say that the cooling trend is needed after this year's rapid run-up in home prices. Before you buy your next home, you need to sell the one you have. Here's a little refresher course in the types of listing agreements that your agent might ask you to sign, and what they require of you, courtesy of the Federal Trade Commission's real estate glossary. Exclusive right-to-sell listing: Under this listing agreement, the property owner appoints a broker as the exclusive agent to sell the property on his stated terms, agreeing to pay the listing broker a commission when the property is sold, regardless of whether the buyer is found by the owner, the broker or another broker. If a second broker finds the buyer, then the commission is divided between the two brokers. Exclusive agency listing: This more limited listing agreement specifies that the listing broker acts as exclusive agent to sell the property for the owner but may be paid a reduced commission — or none — when the property is sold if, for instance, the property owner finds the buyer. The commission is divided if a second broker finds the buyer. There’s no waiting for a developer’s finishing touches (or delayed schedule). You can move in immediately, barring any immediate renovation plans. When you buy a new build, you may have to wait a year or more to move into an empty home. Some buyers love the style of the previous owner and they can often strike a deal to keep furniture or accessories that they like. Buying a home with furnishings you like can be a real money saver. In sum, an older house can offer benefits—and character—that a modern home doesn’t have. But it’s worth taking extra time to educate yourself on the potential pitfalls and fully vet and inspect any older property you are considering. Location is a huge factor in successful homeownership. Just a mile—in some cases just a city block—can make a difference in home values, health risks, crime and the general quality of life for you and your family. If you are selling your home and have gotten an offer, you may concerned about the prospective buyers asking you to make costly repairs that potentially could cut into your profit. Repair requests can be negotiated under most circumstances, but it’s important to recognize that your ability to negotiate depends on the contract proposed by your buyers. You and your listing agent need to carefully read and understand the implications of that contract. Standard real estate contracts vary by location, but all of them are completely negotiable. As a seller, you should never sign a contract until you fully understand its obligations, particularly where it concerns your responsibility for repairs. The best contract for a seller would be for the buyer to agree to purchase your home “as is” or to request an “information only” home inspection, thus absolving you of any need to pay for any repairs. In most cases, though, your contract will include a clause that says the purchase is contingent upon a home inspection. Some contracts will expressly state that the buyers cannot request any cosmetic repairs to be made and can only ask for fixes to structural defects, building code violations or safety issues. State laws may also impact your liability as a seller for any issues uncovered during an inspection, so it’s important that your REALTOR® understands these regulations. If you are uncertain about the contract, you can also consult a real estate attorney. While buyers are always advised to have a home inspection so they know what they are buying, when there are a limited number of homes for sale and buyers need to compete for homes, they are more likely to waive their right to ask a seller to make repairs. In a buyers’ market, though, sellers may find that buyers are more aggressive in asking for work to be done on the home. Your ability to negotiate depends on the way your contract has been written. In most cases you don’t have to agree to make cosmetic repairs. If a home inspection finds other problems, though, you are typically better off making repairs rather than having the buyers walk away from the transaction. For one thing, the next home inspection is likely to find the same problems so you may not be able to sell your home without fixing the issue. Most contracts stipulate that the home inspector will provide a free copy of the report to the sellers as well as to the buyers. If you receive a copy of the report and it describes defects in your home, you’ll need to disclose those defects to the next prospective buyers. Before you jump into negotiating requested repairs with the buyers and their agent, you should discuss the home inspection report with your REALTOR®. You can get bids from several contractors to find out how much a repair will cost and then decide what to offer the buyers. Some buyers prefer to request a credit at the closing to pay for repairs that they will handle themselves after the settlement, rather than have the sellers make the repairs beforehand. Another option to consider is to offer to pay for a home warranty for the buyers that will cover future issues with the home’s systems and appliances. However, a warranty only covers features that are working, so if you have a broken water heater, you will probably have to pay to have it fixed before your transaction can be completed. Whether you get a minor or major repair request, rely on the professional advice from your REALTOR® or real estate attorney to help you handle the issue. (Money Magazine) -- Just a few years ago you could count on getting the bulk of your money back for almost any home-improvement project you took on. Today merely replacing a toilet seat can feel like throwing caution, and cash, to the wind. According to a study from Remodeling magazine, the average return on value for an upgrade declined from 87% in 2005 to 64% in 2009. But these six new rules will help you maximize your return on your remodeling investment. A hidden room or secret passageway isn't any fun if it's not hidden well. We've gathered images of entryways hidden in all sorts of homes. Take a look at these pictures and see whether you'd know there was more than meets the eye. If you're stumped, click through to the next image to see what it looks like when the room or passageway is open. This wall of bookcases in Arizona sure looks fancy. If you weren't reading about secret rooms, would you suspect that one could be concealed here? It's just a wall, right? There's no way this wall and the nearby grand piano could somehow work together to do something magical. These built-in bookcases are in the basement of a home in Montana. Architect Andrew Porth designed the house as a second home for the Gorum family from Georgia. The family's children, ages 20 and 17, had one request: a hidden room. This dresser, in a home in South Dakota, was part of a home makeover for "Extreme Makeover: Home Edition," on ABC. Yes, those are real, working drawers. This fireplace was part of Creative Home Engineering's display at the International Builders Show one year, but what's so special about it? The fireplace slides over, revealing a secret room. It's activated by what appears to be an ordinary chess set nearby. "You could play a round of chess and never know it was a key," Humble says. It's wireless; so as long as it's within 100 feet, it can open the door. There's another way to open the fireplace door, and this one is really something taken right out of a TV show — the old "Batman" series, to be specific. Remember the Shakespeare bust that had a secret button to open a passageway? Well, if you tilt back the head on this bust, you find a fingerprint scanner that triggers the fireplace. 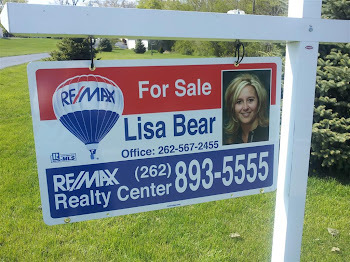 Looking for an experienced realtor that will work for you? ?